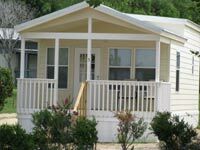 A lot of Texas RV Parks are adding cabins and cottages to their list of amenities for you to enjoy for a day, fun weekend, or extended stay. 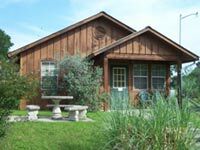 The RV Park cabins typically are fully furnished (everything from linens to coffee pots), roomy, and will sleep 2 to 8 comfortably! 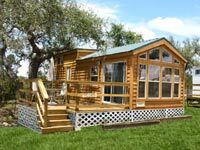 Plus when you stay in one of these RV Park cottages or cabins you get to enjoy all of the RV Park amenities. 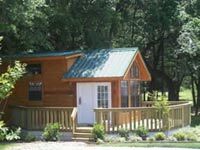 And they are much bigger than a typical expensive hotel room, you can cook your own food (no $22 egg breakfast expense), park in front of your rental cabin (no parking valet or fees! ), and be close to lots of fun things to see and do.